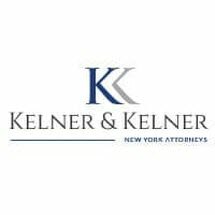 At Kelner & Kelner, our personal injury lawyers provide the legal services that meet the highest standards of quality to clients throughout New York. We meticulously prepare for each case and are committed to protecting and vindicating the rights of victims injured through the careless, negligent, or reckless actions of other parties. If you have been injured as a result of negligence, we can help you obtain fair compensation for your injuries. Contact us today to schedule a complimentary case consultation and evaluation.